Plenty of hardware will be given out as part of the Juno Awards in Ottawa this spring, but the chance to hoist the Juno Cup will be much sweeter for the group of Canadian musicians set to face off against ex-NHL players for this year's annual "Rock versus Jock" celebrity hockey game. The 14th annual celebrity matchup will see the two teams take the ice at Ottawa's TD Place on March 31 in support of music education charity MusiCounts. The Juno Cup has raised over $830,000 for MusiCounts over the last 13 years. Musicians confirmed to hit the ice so far include Kathleen Edwards, Jim Cuddy (Blue Rodeo), Jon Gallant (Billy Talent), Sam Roberts, Dallas Smith, Aaron Pritchett, Darryl James (the Strumbellas), Devin Cuddy, Gord Bamford, Jim Bowskill, and Matthew Barber, among others. The team of musicians will be coached by Ottawa 67's bench boss Brian Kilrea. NHL legends set to take part in the action include Daniel Alfredsson, Gary Roberts, Paul Coffey, Jim Kyte, Chris Phillips and more. The legends team will be coached by recently retired CFL quarterback Henry Burris, who won the Grey Cup with the Ottawa Redblacks last year. 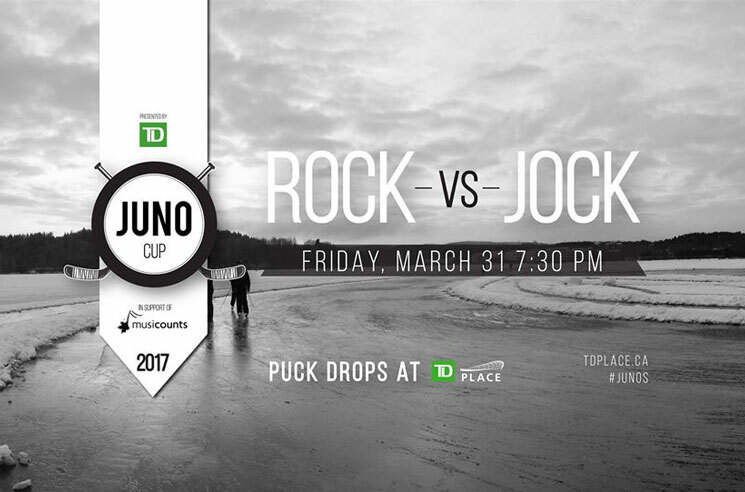 Individual tickets to the Juno Cup can be had for $20, with full information available through TD Place's official website over here. The Junos take place in Ottawa on April 2. You can see all the nominees over here. Pick up the Sam Roberts Band's latest album on vinyl, as well as a guitar autographed by the man himself, here. You can also pick up several of this year's Juno-nominated albums here.